A woman has been charged with killing her own mother at a Durham tire shop Monday afternoon. DURHAM (WTVD) -- A woman has been charged with killing her own mother in Durham. The Durham County Sheriff's Office said the shooting happened Monday afternoon at the JT Tire Shop in the 2200-block of Geer Street. Detectives found 62-year-old Betty Turner's body inside the building. She died from an apparent gunshot wound. Turner's daughter, 38-year-old Rebekah Maxwell, is charged with first-degree murder. She was being held without bond. A court appearance scheduled for Tuesday was postponed because officials wanted a mental evaluation for Maxwell. While investigators won't discuss motive, relatives say she struggled with mental illness and recently separated from her husband. According to property records, Turner and her husband John own the tire shop. Maxwell is the couple's middle child. 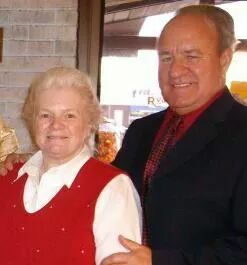 Friends and family say John and Betty Turner were determined to keep their store open after a double fatal shooting in March 2012 that claimed the life of one of their relatives. It's that same resiliency that kept the doors of the JT Tire Shop open the day after Betty's murder. "She had a good heart," said family friend Roby Turner (no relation). "If she was called upon, she was available and she was a very kind person."